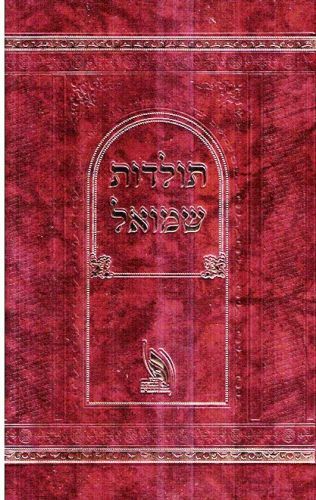 Author :Rabbi Shmuel Heshil Friedman ,a talmid of Reb Avraham B'Reb Nachman Description:An autobiography in the form of a diary, kept from the author's earliest youth, from the year 5638 (1877) describing all his trials and tribulations,(being orphaned at the age of fifteen) and the impact that Breslov made on his short but fruitful life. He was niftar at the age of forty, when German planes suddenly attacked and bombarded Yafo. Rabbi Friedman also was the author of the famous three volume sidur "Mekor Chochma" and "Emunas Chachamim" Publishing data: Eretz Yisrael 2012 253 pp. HB 6x9"with nekudos.